WHEN TRAVELLING, KEEP A BAR OF SCENTED SOAP IN THE SAME COMP - ProudMummy.com the Web's Community for Mums. 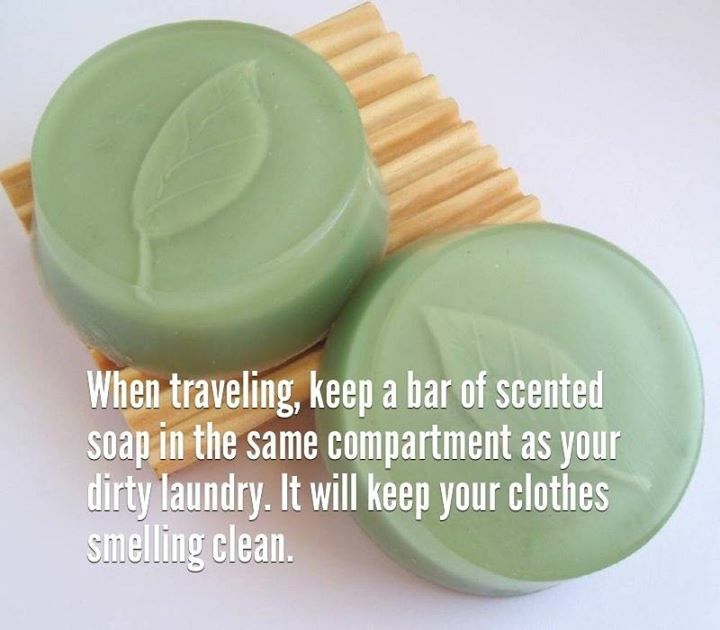 WHEN TRAVELLING, KEEP A BAR OF SCENTED SOAP IN THE SAME COMPARTMENT AS YOUR DIRTY LAUNDRY. IT WILL KEEP YOUR CLOTHES SMELLING CLEAN.